Ask a business school graduate what they plan on doing when they graduate, and many will mention investment banking, venture capital and consulting. Those are the glamorous, exciting fields. Mention insurance to them and you might get a look of bewilderment. Why would anyone go into a field that isn’t considered exciting? Let’s take a look. The insurance industry is able to recover quicker after a recession versus private industry because of their product line, while offering its employees plenty of growth opportunities. Combine that with advances in new computer software, and the industry begins to look very attractive. Below are listed some insurance industry salaries that you can review while considering it as a career path. Receiving calls from potential customers wanting rate and coverage information on auto, home and other types of insurance, using an advisory sales approach. Sometimes these calls are a result of company marketing campaigns. The company trains you, including advising on the required licenses. An Associate’s degree or sales experience is required. You should also have computer and multi-tasking skills. The salary runs approximately $55K to $70K at a large company. Grow relationships with powerful clients and have extensive knowledge of the personal insurance industry. The job entails working with insurance agents to satisfy client needs by comparing plans and deciding on what is appropriate, including using technology to provide the best customer service. The manager communicates with customers and insurers to fix difficult account problems and must be able to interpret policy and make experience-based decisions. At least two years of experience and personal account manager experience are usually required, along with exceptional oral and written communication skills. The manager must have the required state licenses. The salary is approximately $85K to $110K. A risk analyst position would be good for someone with good analytical and problem solving skills. They search for risk in their company and take defensive action. They produce reports on coverage risk, managing claims, estimating loss and do analysis to reduce risk. A risk analyst’s salary will be approximately $56 to $101K. A degree in areas like business or an Associate Diploma in risk management will be viewed favorably. Risk managers look at insurance business, policy, and financing risk and institute the proper controls. A risk manager’s salary would be approximately $95K to $126K. A business or finance degree will be viewed favorably for the manager’s position, along with a few years of experience in the field. Underwriters decide whether to insure clients. They decide the amount the customer should pay for the insurance policy. Computer knowledge is essential to determine client risk and cost. Underwriters can work in a variety of areas, such as auto, homeowners, commercial and personal/professional liability. Business, finance and accounting degrees are viewed favorably for this position. Those who deal with life insurance must be licensed. Those who deal with property and casualty insurance obtain a CPCU designation (a chartered property casualty underwriter) and are considered experts in their field. Your company will tell you what your job requires. The salary for an underwriter is approximately $53K to $74K. 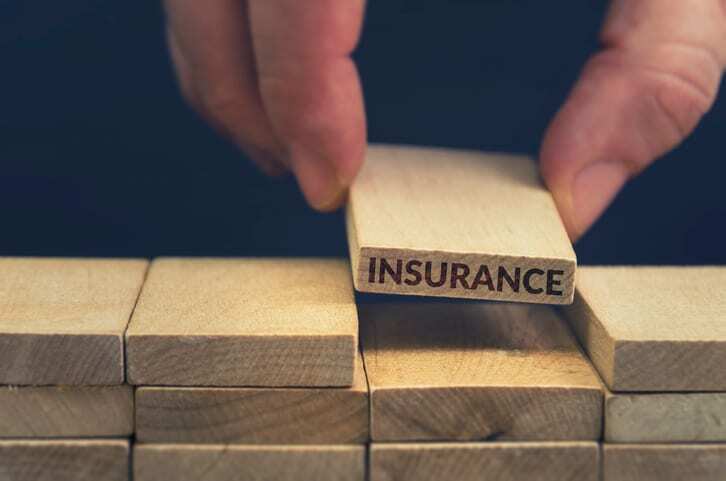 Actuaries create plans for insurance companies, paying attention to potential threats and claims costs in events like property, injury, death and disability. They may also review other financial issues for their company. A bachelor’s degree in areas like economics, statistics or finance will be viewed favorably. Your company will tell you what licenses are required (e.g., health, life, property and casualty). The pay is approximately $60K to $75K. In this position, you can sell many different kinds of insurance. You will have to have a couple of years of sales experience and be able to bring some former clients along when you create your own agency. You must be able to manage the other insurance agents and staff in your office. This position brings a lot of satisfaction because you own it and you can decide when to take time off and how to run the business. An owner can make approximately $40K to well over $100K per year, depending on how hard they work. Jobs in insurance can well utilize the research, analysis, and management skills you learned in business school. There are lots of areas for advancement. Your decision should be based on what you like to do the most and how much money you want to earn.